Darren Lodwick, born in 1988, grew up in a very musical family. He has always played in musical groups and had always dabbled in creative ventures, from drawing comics to performing comedy. Now he is a professional composer, sound designer, and all-around audio engineer with a B.S. in Audio Production. Though he still loves his other creative pursuits, his passion in music and sound has led to years of experience providing quality audio assets to clients and teammates. 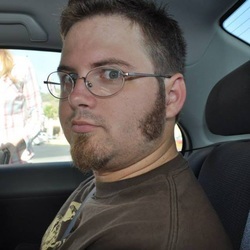 He has worked on a variety of indie game productions.